Plenty of Americans support Trump for one reason and one reason only: the Supreme Court. 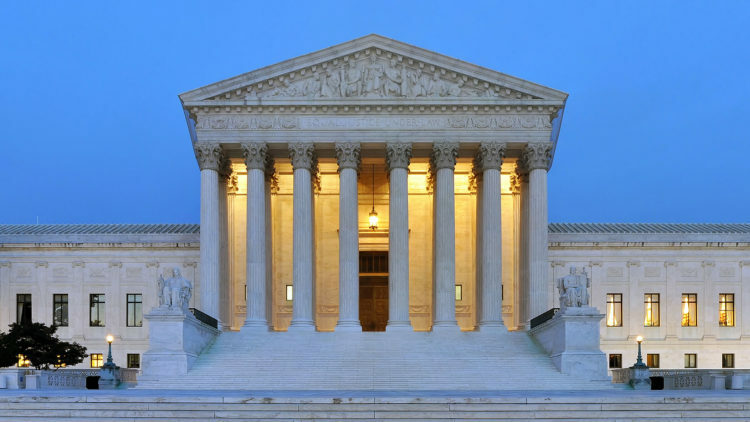 The next president will likely be appointing multiple justices to the Supreme Court and it’s a lifetime appointment. One meme imagines what it would look like if Hillary Clinton becomes president. 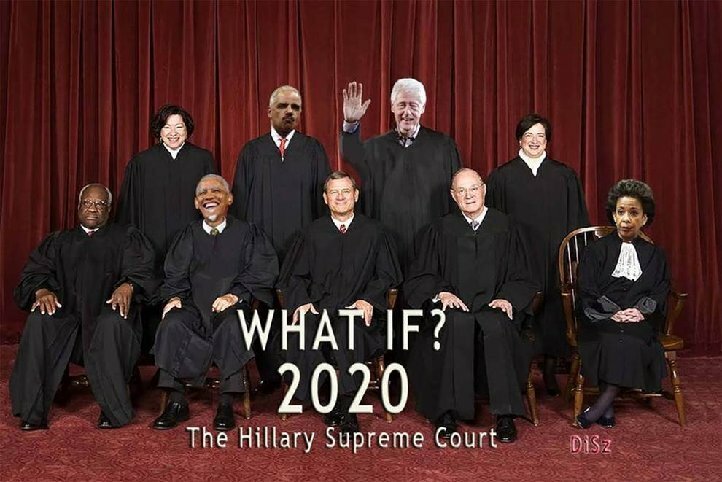 We know that Hillary will put a bunch of abortion-loving ultra-libs on the Supreme Court. But what if she appoints people like, say… Barack Obama? Or her husband? She could also appoint Loretta Lynch and Eric Holder. Who knows? The opportunities are endless. And it could mean the end of our Second Smendment rights. It could mean that religious freedom is under constant attack. The 4th Amendment, the 10th Amendment, many of our constitutional rights could be crippled. There are many, many reasons to be scared of a Clinton presidency. This is just another one of them.